Samsung has come with its latest Nougat update for all the Samsung Galaxy A3 2016 European users. This update carries a shot for the charging bug that was prevalent in the previous firmware. The new Android 7.0 build date is fixed for 28 September 2017, and the Security Patch level is August 2017. If you are having a newer firmware, just ignore this article, as no charging bug is on your device. The Galaxy A3 2016 charging bug doesn’t enable devices to charge to their maximum capacity, as there are various users claiming that their devices don’t gobeyond 87%. However, the new A310FXXU3CQI8 Android 7.0 Nougat firmware update will provide solution to this problem and users would be able to charge their devices to their full capacity. Do not forget to check the below guidelines before kicking off the flashing process. 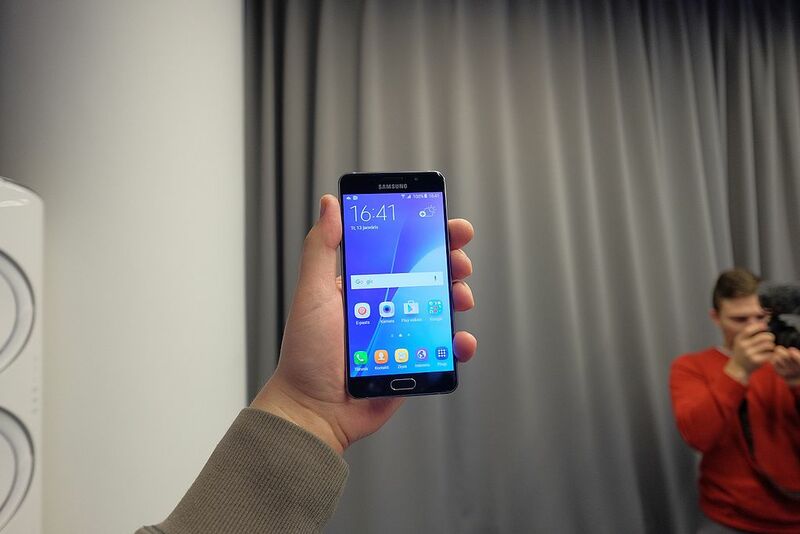 Use this tutorial only for the 2016 Samsung Galaxy A3 devices with model no. SM- A310F. Download and install the Samsung USB drivers on your PC. When installation is done connect your phone to PC via ODIN app. To update, use the ODIN 3.12.3 tool, and for ODIN to work with your device you will need to install the above USB drivers. Flash this new update over rooted firmware, too, but you have to know that root access won’t survive the new update process. any custom Recovery you might have flashed will also be replaced with stock Recovery. Flash the Android 7.0 firmware update over custom ROMs, but you have to know that a Factory Reset process has to be applied after that, too. If your phone runs 100% stock Android firmware, continue to the next part of the process right away, as no data will be lost from the device during installation. Go through the whole post and don’t jump any steps. Make sure that there is at least 50% charge left before the device powers off. If you don’t wish to update your phone manually, wait until Samsung pushes the new firmware in your area. Download the Android 7.0 A310FXXU3CQI8 archive update. When the download is done, extract the archived contents. You will get five different ‘tar.md5’ update files. Don’t extract the ‘tar.md5’ archives. Download the Odin 3.12 zip and extract the contents. Connect the Galaxy A3 2016 device to PC via USB cable. Wait for ODIN to add the phone, and thenmove to the next step. In ODIN, load the firmware update files. Use the following process for this. Click AP and then find the file containing “AP” in its name. Click CP and load the file with “CP” in its name. Click BL and load the file containing “BL” in its filename. Now, click the CSC button and find and load the file with “HOME_CSC” in its name. Don’t load the file that contains only “CSC” and no “HOME” in its name, as that file will wipe clean the device storage. After you’ve loaded all the given files, press START in order to initiate the Android 7 Nougat official update. Don’t use any buttons until the update is finished. When installation is done, you will get the PASS alert. Disconnect the Galaxy A3 2016 from PC when the update is done.